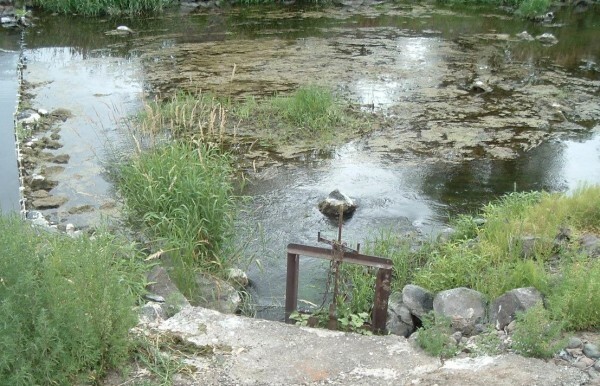 Located on Mill Creek, the intake for the Blalock Irrigation District’s diversion is located adjacent to the City of Walla Walla’s Wastewater Treatment Facility. Water from Mill Creek travels through a pipeline under the flood control levee to a structure where it is mixed with effluent to meet the irrigation water rights of Blalock irrigators. Capable of diverting up to 10 cfs, this was the last large unscreened irrigation diversion on Mill Creek. Therefore, ESA listed fish species were at risk unless a modern fish screening system was constructed. In cooperation with the Confederated Tribes of the Umatilla Indian Reservation (CTUIR) and the WA Dept. of Fish & Wildlife (WDFW), the WWCCD began actively working on this project about seven years ago. After many meetings with Blalock irrigators and other stakeholders, a design was completed by HDR, permits were applied for and approved, and easements for right of ways were obtained. Funding was secured with grants from BPA and the state Conservation Commission, along with funds contributed by the Blalock Irrigators. 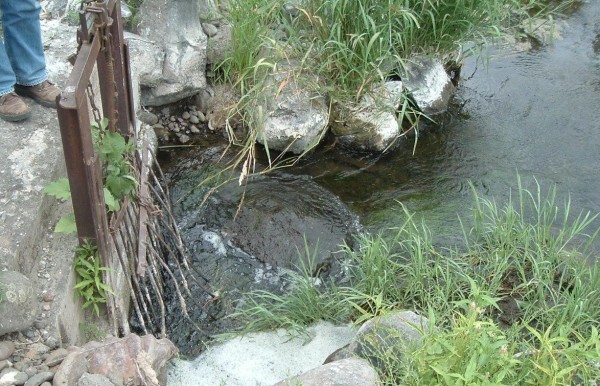 The final project consisted of a concrete structure to house the fish screen and an air blast cleaning manifold installed parallel to Mill Creek. This system allows for operation of the diversion at very low flows. The screen had to be custom made and this task fell to the experts at WDFW’s Yakima Screen Shop. A weather-proof shed was installed to protect the air compressor, pressure tank, and electronic control system for the air-blast cleaning. 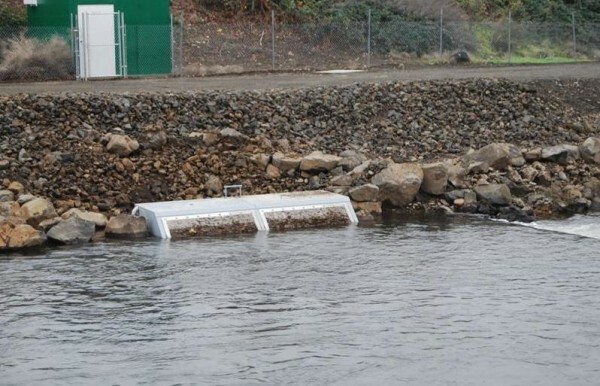 Installation was completed in 2013 and after seven years of planning and work, the Blalock Irrigation District now has a fully modern diversion complete with a NMFS compliant fish screen serving their irrigators.